probate, estate planning, and wills & trusts. Our law firm is committed to providing superior and effective services for each client. We look forward to hearing from you and discussing how we may be of service. James H. Wolf received his bachelor’s degree from Loras College, Dubuque, Iowa, and received his Juris Doctor degree from Chicago Kent College of Law. James H. Wolf is partner in the firm of Wolf & Tennant and engaged in the general practice of law with emphasis in the areas of corporate, business, personal injury, real estate and general litigation. Mr. Wolf has represented numerous corporate and business clients, both foreign and domestic, and his practice has ranged anywhere from day-to-day corporate representation to mergers and acquisitions. Mr. Wolf maintains a very active and varied litigation practice that has included trial work in the States of Illinois, Utah and Wisconsin. Further, as a member of the trial bar of the United States District Court, Northern District, Illinois, Mr. Wolf has tried numerous cases in Federal Court, as well as handling and arguing appeals in the 7th Circuit Court of Appeals, the First District Appellate Court and the Illinois Supreme Court. He is a member in good standing with the Illinois State Bar and has also been admitted to practice before the Federal Bar for the Northern District of Illinois, Trial Bar for the Northern District of Illinois, the Seventh Circuit Court of Appeals, and the United States Supreme Court. LexisNexis® Martindale-Hubbell® recognizes James H. Wolf as an AV® Preeminent™ 5.0 out of 5 rated attorney, the highest such rating available to any individual lawyer in both legal ability and ethical standards. The AV® Preeminent™ certification mark is a significant rating accomplishment - a testament to the fact that a lawyer's peers rank him or her at the highest level of professional excellence. Francis K. Tennant received his bachelor’s degree from the University of Notre Dame, South Bend, Indiana, and received his Juris Doctor degree from the Loyola University of Chicago School of Law in 1979. Francis K. Tennant is partner in the firm of Wolf & Tennant and engaged in the general practice of law. He has a broad range of experience in estate planning, wills, trusts, probate and trust administration as well as business organization and representation. He also represents units of local government and individuals in municipal law, land use and planning. Mr. Tennant has an extensive civil trial and appellate practice. He has tried numerous cases to verdict including personal injury, wrongful death and commercial matters, and has successfully represented his clients in the Illinois and Federal Courts. He is a member of the Illinois Trial Lawyers Association, the Chicago Bar Association, the Illinois State Bar Association and Federal Trial Bar. He is a past President and Director of the Morton Grove Chamber of Commerce. LexisNexis® Martindale-Hubbell® recognizes Francis K. Tennant as an AV® Preeminent™ rated attorney, the highest such rating available to any individual lawyer in both legal ability and ethical standards. The AV® Preeminent™ certification mark is a significant rating accomplishment - a testament to the fact that a lawyer's peers rank him or her at the highest level of professional excellence. James M. Wolf received his bachelor’s degree from Villanova University, Villanova, Pennsylvania in 1992, and received his Juris Doctor degree from Chicago Kent College of Law in 1995. 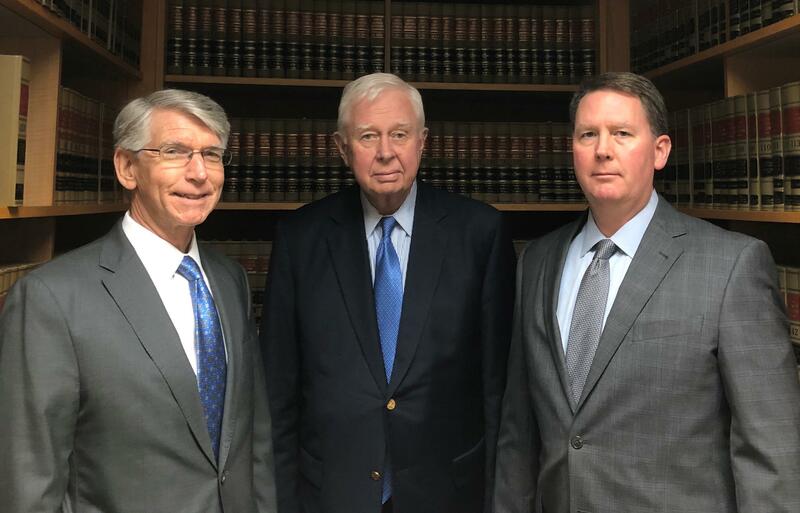 Mr. Wolf has been a member in good standing with the Illinois State Bar since 1995 and has been admitted to practice before the United States District Court. Mr. Wolf is a Member of the Illinois State Bar Association, and a Member of the Chicago Bar Association. Mr. Wolf has handled an extensive variety of civil litigation cases, and has handled a number of successful appeals for the firm. Mr. Wolf has briefed, and orally argued, cases in Illinois State Court, in Federal Court, in the Illinois Appellate Court, and in the Illinois Supreme Court. Mr. Wolf has furthermore represented corporate clients in administrative licensing proceedings, regarding motor vehicle dealership licensure, before the office of the Illinois Secretary of State. Moreover, Mr. Wolf has represented corporate clients in legal proceedings, both administrative and judicial, initiated by the Office of the Illinois Attorney General. Recently, Mr. Wolf has represented several business clients, including restaurants, in Federal Court, in the defense of actions brought under the Fair Labor Standards Act, and under the companion Illinois Statute. James M. Wolf has co-authored the “Liability for Third-Party Criminal Acts” Chapter of the Illinois Institute for Continuing Legal Education Handbook on Premises Liability. In a notable case that helped clarify the law regarding the law of defamation generally, and in the corporate context, Mr. Wolf successfully briefed and orally argued the case of Imperial Apparel, Ltd., et al v. Cosmo's Designer Direct, Inc., et al., before the Illinois Supreme Court. This case, which involved the defense of a defamation action and other related torts in a commercial dispute between two competing businesses, was reported in the Illinois Official Reports at 227 Ill.2d 381 (Ill. 2008). Civil Litigation, Trials and Appeals: We are experienced Trial Attorneys engaged in the successful representation of individuals and businesses in both the State and Federal Courts involving a wide range of civil litigation matters including: breach of contract, business disputes (involving both corporations and limited liability companies), construction and land claims; non-compete disputes; lease disputes, personal injuries, trust disputes, probate disputes, employment-related disputes, and business licensure disputes with the State of Illinois. 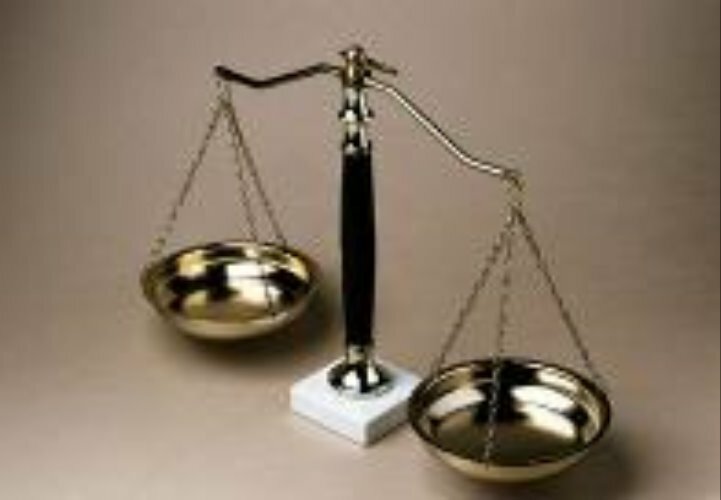 Personal Injury, Wrongful Death and Accident Claims: We provide aggressive and effective representation as plaintiff’s counsel for individuals injured as a result of auto accidents; public transportation accidents; slip and fall incidents, medical malpractice, nursing home negligence and worker’s compensation claims (work place injuries). Corporate and Business Representation: Assist individuals and businesses in the formation and maintenance of corporations, limited liability companies and other entities. We assist buyers and sellers of businesses in asset and stock sale and purchases; operating agreements, by-laws, annual reports, minutes and resolutions; shareholder agreements; commercial leases; preparation of contracts and agreements. Real Estate - Residential and Commercial: Provide full service representation in the sale, purchase or lease of residential and commercial real estate including contract preparation and review, negotiations, modifications, document preparation and representation at closing. Probate, Estate Planning, Wills and Trusts: We assist clients in the best manner to arrange their estate through Wills and Trusts, including those with special needs. We prepare and counsel clients in the use of Powers of Attorney and Living Wills. We provide experienced representation of executors and trustees in Probate and Trust administration for decedent’s estates, as well as guardianship and other related matters in the Probate Division of the Circuit Court. Pink Fox, LLC v. Kwok, et al., (2016 IL App (1st) 150868) James M. Wolf, of Wolf & Tennant, represented a commercial landlord on appeal in the case of Pink Fox, LLC v. Kwok, et al., (2016 IL App (1st) 150868), which involved a breach of a commercial lease and a related guaranty. The Appellate Court affirmed the judgment of the Trial Court in the landlord’s favor, and also affirmed an award of attorney’s fees in the landlord’s favor. 11-cv-01826 Narkiewicz-Laine v. Doyle et al., 11-cv-01826 James H. Wolf, of Wolf & Tennant, represented the plaintiff artist in the federal case of Narkiewicz-Laine v. Doyle et al., 11-cv-01826, which involved claims brought under the Visual Artists Rights Act of 1990 (VARA) and related state law claims, resulting in a jury verdict in favor of Mr. Wolf’s client, and against the defendants. HB 5745 Amends the Jury Commission Act to provide that any mother nursing her child shall be excused from jury service upon request. Exempts nursing mothers from having to serve jury duty. HB 4821 Prohibits insurers from imposing step therapy upon drugs treating Stage 4 cancers. Requires insurance coverage for Stage 4 Metastatic Cancer Treatment. HB 04472 Prohibits an out-of-state driver from operating a vehicle without insurance. The operator of the vehicle must keep proof of insurance within the vehicle at all times. Out-of-state drivers will be required to have insurance and carry proof of insurance in the vehicle with them. SB 01246 Exempts student savings accounts from debt collection agencies similar to ABLE accounts. Electronic Filing Requirements: The Illinois Supreme Court has enacted mandatory electronic filing (e-filing) in civil cases for the Illinois Supreme, Appellate and Circuit Courts and set out a timetable for implementation in 2017. E-filing will become mandatory for civil cases in the Supreme Court effective July 1, 2017. The Law Firm of Wolf & Tennant is able to meet all electronic filing requirements. The Law Offices of Wolf & Tennant are located at 33 North Dearborn Street, Suite 800, in downtown Chicago, in the heart of the Loop, at the southeast corner of Washington and Dearborn Streets diagonally across the street from the Richard J. Daley Center, site of the landmark Picasso Sculpture and location of the Circuit Court of Cook County. There is convenient underground subway access from the CTA Blue line at the Dearborn and Washington stop. Parking is available at the Theatre District Self-Park, 101 North Dearborn Street. Discounted parking passes are available at our 1st floor lobby front desk. Driving east on Washington make a left-hand turn onto Dearborn and travel north 1.5 blocks until you reach the Theatre District Self-Park on the right-hand side of Dearborn Street. Our office is located 1.5 blocks to the south on the 8th floor of the 33 North Dearborn Building.